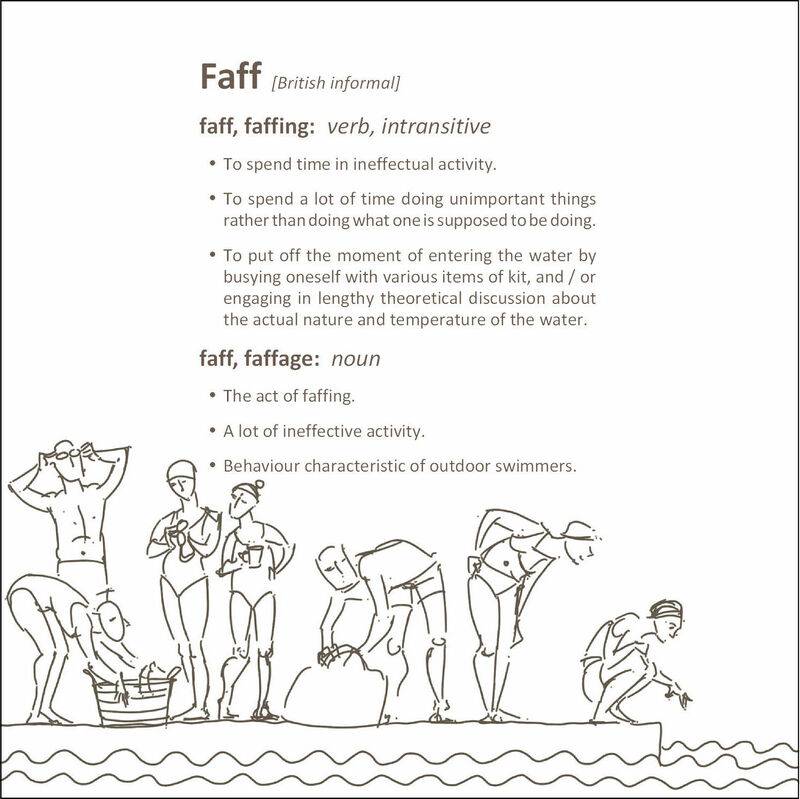 There seemed to be something of a unifying theme to the pictures, one familiar to many outdoor swimmers that I know, so I went with it: ‘An Outdoor Swimmer’s Guide to Faffing’. You can see a glimpse of all the pages on this page …For those overseas friends unfamiliar with the word (though not, I suspect the activity itself), I have even included a definition of the gentle art faffing – see below for an image of the back cover of the calendar. 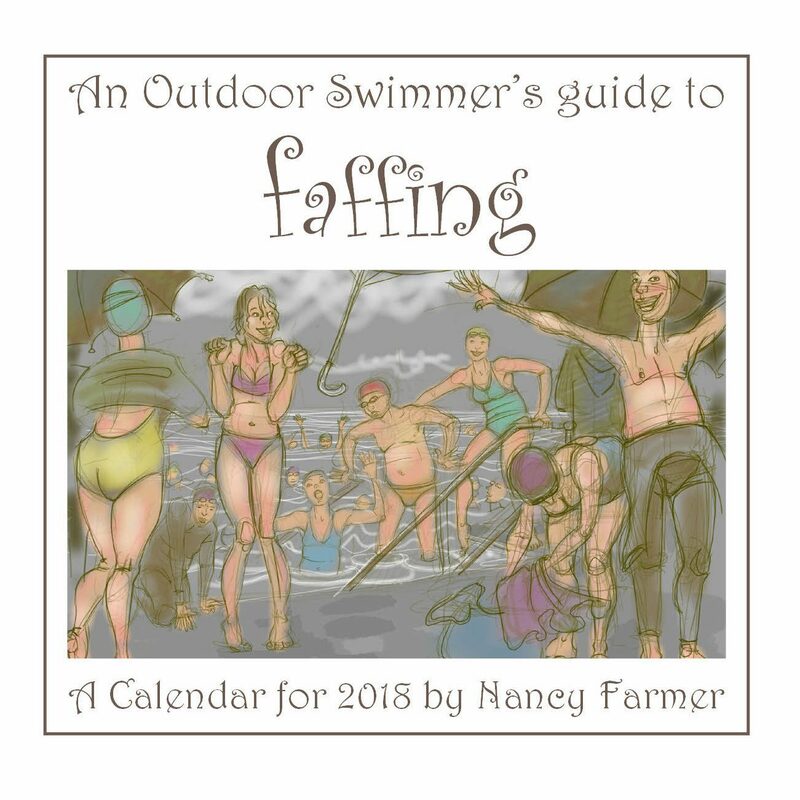 This entry was posted in calendars and tagged art, calendars, drawing, Nancy Farmer, swimming on September 28, 2017 by Nancy Farmer. I love this! Such a funny but true observation of how we behave!